Saxophonist Derek Nash has a new Acoustic Quartet CD on Jazzizit Records, "You’ve Got to Dig It to Dig It, You Dig?" In this interview with Alison Bentley, he talked about the background to this new album, and also about his work with Sax Appeal, Jools Holland and Paul McCartney, and tells the story of the recording of Jamie Cullum’s first album. London Jazz News: Where does the title of your new album come from? Derek Nash: There’s a list of notes that the saxophonist Steve Lacey transcribed of Thelonious Monk’s advice: it’s things like: ‘Make the drummer sound good.’ ‘Stop playing all those weird notes.’ Slap bang in the middle is this: ‘You’ve got to dig it to dig it, you dig?’ As soon as I read that I was inspired to write a piece of music, and I just used the rhythm of that phrase. It’s very much a boogaloo piece. Think Ramsey Lewis, Cannonball Adderley, all of those things when Blue Note jazz suddenly started to get a soul backbeat to it. I thought, if this is a piece of music that’s got to be dug, then it ought to be a little bit groovy: good-time jazz but with real chords that you can get your teeth stuck into. LJN: How did you start working with David Newton, Geoff Gascoyne and Sebastiaan de Krom? DN: Geoff came originally to me as an artist- I have a joint career running a recording studio- Clowns Pocket Recording Studio. Geoff and Trudy [Kerr] his wife have recorded between them ten or twelve albums there over the years. Geoff and Sebastiaan once turned up at my studio with an incredible and very young pianist/vocalist called Jamie Cullum. Geoff had met him on a Jazz course he was teaching on, and Jamie was a participant. That led to me recording the ‘Pointless Nostalgic’ album for Jamie when he was just beginning to get going. So I got to know Geoff and Sebastiaan incredibly well from those days. 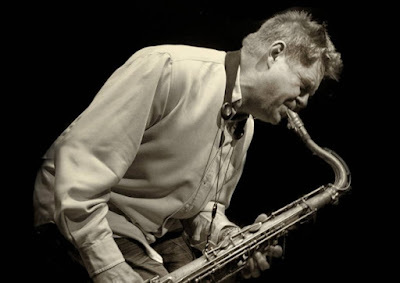 Dave Newton- I just adored his playing- always so melodic, swings, and when you want to be introspective, I love his ability almost to sound like Brad Mehldau at times. It’s one of those things where you just have to pluck up the courage and say, ‘I’d really like to work with you.’ Dave’s been fantastic. LJN: Dave Newton has done an arrangement for your new album? DN: Yes, he brought a version of Secret Love. Most people would look at it and think- they’re just going to play a standard swing version of a well-known tune. Dave had a pedal note running through most of the head (initial statement of the tune) and a little kind of Celtic vamp which is quite unexpected. It means when you first start playing, people really aren’t sure what you’re playing, but eventually it works its way into the tune. When you release it into the normal swing that people would expect, it’s almost as though you’d lit the blue touch paper. Geoff had two compositions he thought would work really well for the Quartet- Vertigo, and Keep It To Yourself, which is based on ‘The Preacher’, the old Horace Silver tune. I decided to change the arrangement, and do a more New Orleans version of it. He was more than happy with that. And with Geoff and Sebastiaan I’ve been doing a Gerry Mulligan/Chet Baker tribute, playing all that beautiful piano-less stuff from the 50s. LJN: There’s one like that on the new CD? DN: Yes, that was one I wrote that we’ve been doing live with the Quartet. I’m proud of it as a composition, and I have [trumpeter] Martin Shaw guesting with me on the recording. LJN: And you’ve an acoustic version of a Yellowjackets tune? DN: I was incredibly privileged to spend a week in the company of Russ Ferrante - the Yellowjackets' pianist - in America about six years ago. I was involved The Conference on World Affairs: it’s an amazing thing- they get musicians from all around the world and just put us together. We have to do a concert for 2,500 people in two days flat. I played a couple of Russ Ferrante’s tunes with him, and he played a couple of my tunes. I did it earlier this year too, and this time I was playing alongside Ernie Watts, who’s another childhood hero. I’ve been in touch with Russ ever since. I’ve always loved the Yellowjackets- they’re a very inspirational band. This was an early song that was done in a very poppy, synthy manner. One day I had an idea of doing it as a jazz waltz, just to see how it would work. I contacted Russ Ferrante and said, ‘I’d like to do a version of your tune Homecoming on my new album’. Twenty minutes later he’d emailed his original leadsheet to me. He was perfectly happy to hand out his original. I was so impressed by that that I’ve done the same thing- I’ve put some of my leadsheets on my website. I’d love to spread the gospel of my music, so if anyone wants to play it please do! LJN: Do you play all four saxes on the new album, like the last one - Joyriding 2011, which won a British Jazz Award? DN: Yes, this is something I’ve done for a long time now. I was an alto player first, and then I added soprano, then baritone, and I didn’t take up tenor till I was in my 20s. I was quite adept at baritone well before even thinking about even picking up a tenor sax. If I do a guest spot with a house rhythm section, I’ll always take all four saxophones with me. Firstly, it’s good for me to keep them all match fit. But more importantly, I think it gives the audience four totally different tone colours, and gives me a chance to play in a different way, because you never play on a soprano the way you do on a baritone. The only thing for me is, I’ve got to carry saxophones everywhere- my car has more equipment than most drummers! LJN: You have a very tender bari tone on ‘Joyriding’. Do you have a favourite baritone player? DN: Obviously Gerry Mulligan’s always going to be an important influence, and Harry Carney, Cecil Payne- he’s got a beautiful subtle sound. DN: Sonny Stitt and Cannonball Adderley. Sam Butera, who was the saxophone player with Louis Prima. He’s someone that everyone always forgets, but wow, he swung! And he had this lovely gritty sound that comes through everything. I love all the crossover guys like Stanley Turrentine. who can play the most heart-wrenching soul stuff, but also be a great swinging player. And I’ve done a fair amount of rock and roll grittiness over the years. I love doing double header gigs with Ray Gelato. I used to play in a band with Spike Robinson, sadly no longer with us. But we’ve been recently recreating the three tenors band that we had, now with myself, Alan Barnes and Vasilis Xenopoulos- a three tenor front line, going out with that, and that becomes a battle royal! DN: Arranging for me is just as important as composing. My dad was an arranger for the BBC Northern Dance Orchestra for 35 years. So I grew up with an arranger’s ear, and my dad showing me versions of chords, and how arrangements can change a tune dramatically. And I’ve been arranging for Jools [Holland] for ten years. I do five or six charts every year. The whole thing about my musical life is that it is so varied. I've also run Sax Appeal for over thirty years, and Protect the Beat, a funk and fusion band. I’ve always experimented with Sax Appeal, with all the different colours you can get out of five saxophones and flutes; and putting sopranos on lead, and turning the voicing upside down with tenor on lead, and seeing what can happen. I’ve always been involved with arranging things and I love the challenge of it all- it’s great fun. DN: I love Claus Ogerman, particularly all the stuff he did with Michael Brecker and the early Brecker Brothers with that wonderful three horn writing. Though I probably listen to more Cannonball and Sonny Stitt than I do the Brecker Brothers these days. LJN: You have a Sax Appeal gig in the middle of your Quartet tour? DN: That’ll be with Brandon Allen and Simon Allen- both on the new Sax Appeal album. And Bob McKay has been my regular baritone player for years, and Scott Garland on lead alto. It’ll be Pete Adams on piano, Phil Scragg on bass, and Mike Bradley on drums. That line-up could always shuffle a tiny bit, to say the least!! LJN: You’ve Got to Dig It to Dig It, You Dig? was recorded in your own studio, and is out on your own label, Jazzizit? DN: We’re very proud- Jazzizit has been around for quite a long time now, and it’s an interesting thing to write, arrange, play, produce, and record your own music. You get so ingrained with it all, sometimes it’s very hard to keep focused. So I got this incredible young guy I’ve been working with called Chris Kalcov to master it, just because I wanted an independent pair of ears. And he ended up recording a whole suite by Sax Appeal that was written for The Watermill in Dorking, for their 20th anniversary- ‘The Phoenix Suite’. It’s on YouTube. The Watermill then invited me back to premiere the new Quartet album on the 3rd of Sept.
LJN: You get to work with all sorts of different people with Jools Holland. DN: Yes, everyone from Solomon Burke to Jessie J, Ray LaMontagne, Martha Reeves and the Vandellas, Annie Lennox, Eric Clapton, and Kylie Minogue, who was a delight actually! Working with David Sanborn was an absolute treat. And then to play with Paul McCartney- we did Got to Get You Into My Life with all the fantastic brass stuff. You meet someone like Paul McCartney and you wonder what they’re going to be like. He politely asked the drummer, ‘Would you mind if I counted this in?’ He just wanted to be one of us. He said, ‘Play louder if you want. I just wanted to get more atmosphere. Let’s have a party onstage.’It’s opened all these doors for me in that respect. Because I’ve got my fingers in so many musical pies, I get turned on by loads of different kinds of music. I suppose that shows up in the new album. We’ve worked together for a few years now, and this is the second album with the same line up. Geoff, Dave and Sebastiaan are a band: they have inputs into the arrangements, they have honest feeling, and what you get is a band telepathy. I’m still having an absolute ball making good music with amazing musicians.